England’s beautiful Lake District is well-known for its amazing scenery. It’s no surprise the region has formed an inspiration and backdrop to some of our most famous wordsmiths, with the likes of William Wordsworth and Samuel Taylor Coleridge being the most well-known. Wordsworth and his fellow poets were amongst the first to write of the beauty of the area, and their legacy remains today, with countless visitors to the district looking to follow in their footsteps. Whilst any mention of Lake District literature needs to include these world-famous poets, it’s important to remember that they’re just the tip of the iceberg when it comes to famous writers from the region. Hikers and climbers galore still swear by Alfred Wainwright’s pictorial guides to the region’s mountains, and Beatrix Potter has won even greater fame of late by being the subject of a major film. Even children’s classic TV programme Postman Pat would not exist without its author John Cunliffe having been inspired by the areas of Kendal and Longsleddale. The Lake District remains a huge inspiration for all visitors who put pen to paper. Enjoy our literary guide to the all-time greats and here’s to the next generation of Lakeland scribes and poets. 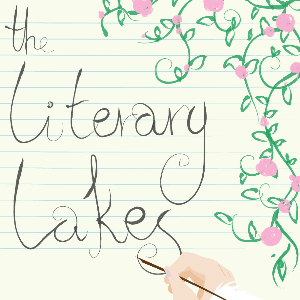 <a href=https://www.craigmanor.co.uk/the-literary-lakes/>The Literary Lakes </a> by <a href=https://www.craigmanor.co.uk>Craig Manor</a>.